Some people think social media isn’t for them, but it could be (and in fact I make the case it should be in “Social Media: Why get on it?). Social media has proven its worth in personally connecting with people, and in extending business opportunities. Consistent social media engagement isn’t that difficult, really…if you have a plan. In 1943, psychologist Abraham Maslow introduced his hierarchy of needs in a paper titled, A Theory of Human Motivation.His theories are most often represented by a pyramid divided into five horizontal sections, each representing an area of human development. That’s a good way to think about social media and the balanced use of social media. Many people try social media and get discouraged because it doesn’t seem to work for them. With constant updates through Twitter and Facebook, stepping away to get a cup of coffee can make you feel like the world has turned several times by the time you return. It’s also easy to get drawn in and spend inordinate amounts of time “Facebooking.” When people learn to balance how they use their social networks, they get more enjoyment out of it and become more effective without wasting their time. And this is where the Hierarchy of Feeds comes in. You can define your social media activity by four actions that are ubiquitous to almost every social network. Facebook, Twitter, Google+, LinkedIn – it doesn’t matter. Think of these as the four food groups of social media. It’s one thing to have a particular social media account, it is another to actually use it to engage other people. You have to participate if you are going to get anything out of value out of it. 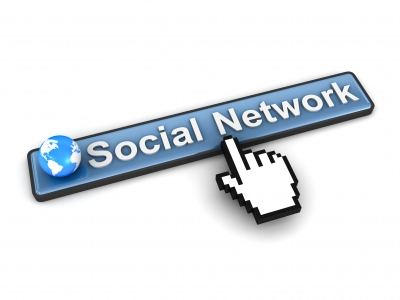 Social networking is all about, well…networking (interacting with other people online). Socialized, networked communication on the web is the substance of the social media revolution. Meeting new people or introducing other people to each other maximizes your participation in social media. Don’t just connect with a few family and close friends and leave it at that. Get out there! Social networking is a lot more interesting when you share what other people are doing and saying. This may be a reTweet, Facebook share, YouTube video or maybe you’ve passed along an interesting Web link to a news story you think others might find interesting. Let’s face it, people would think you are narcissistic if all you did was talk about yourself. Sharing keeps the online conversation going. You actually do need to talk about yourself and create some original thoughts. It’s not enough to add friends, comment on what they say and share what they post. People want to know about you. It’s okay to talk about what you are doing, what you like or don’t like, or what you think. You also have an area of expertise from which you can share that ultimately benefits the community. It may be crock pot recipes or tax tips. Just keep it in balance with all your other activity online. If you learn to participate, network, share, and create, you will find a healthy balance and get the most out of socializing on the web. The key to the four is to set a time limit for each so you don’t wind up becoming a social media glutton.